The Piece de Resistance of my Thanksgiving Table. 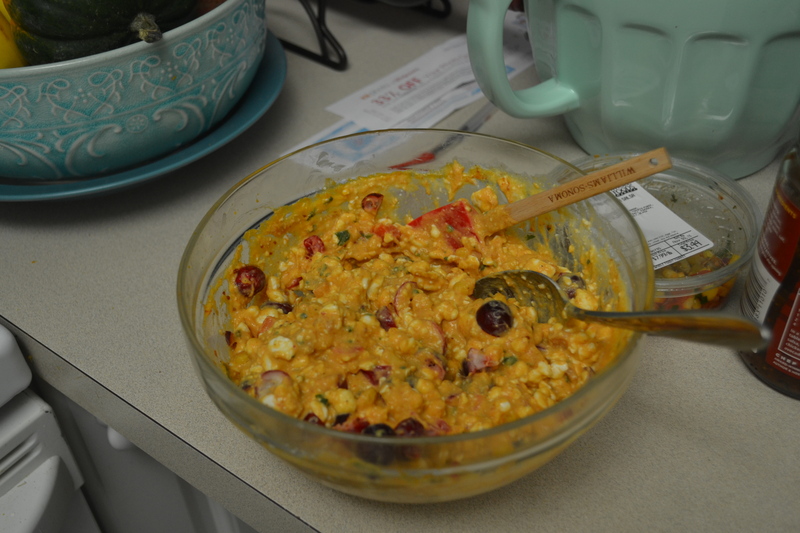 A seasonal take on one of my favorite shocker (as in, Alex was totally shocked that it worked) recipes that I came up with in grad school when I started eating cottage cheese. The CCheese takes on the most amazing, creamy texture, and the saltiness (if not using a no-salt-added version) is balanced by the slight sweetness of the pumpkin. Go for roasted turkey breast of the carved variety–NOT deli sliced. Dried cranberries would be much sweeter, but would also work. It may not be pretty, but neither am I in the morning. 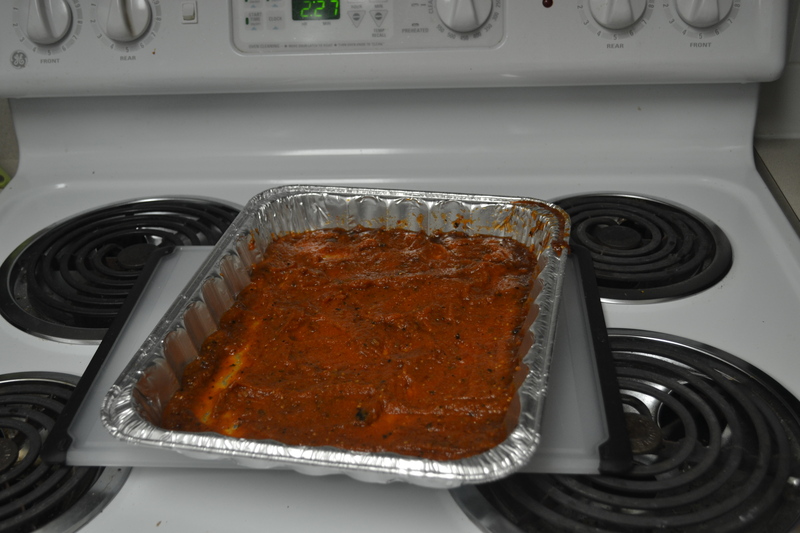 Spread a thinish layer of the pumpkin-salsa mixture across a lasagna/casserole pan. Set to side. 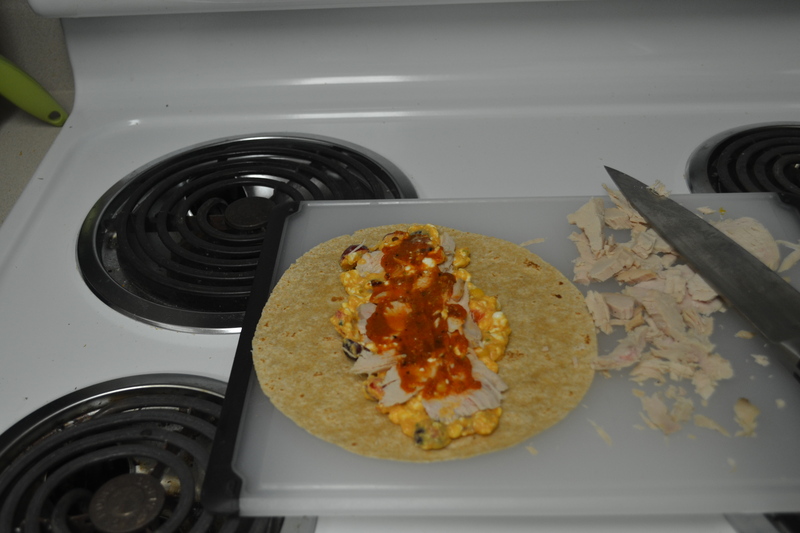 Lay out a tortilla, grab a heaping spoonful of filling, deposit in the center of the round and spread a little bit. 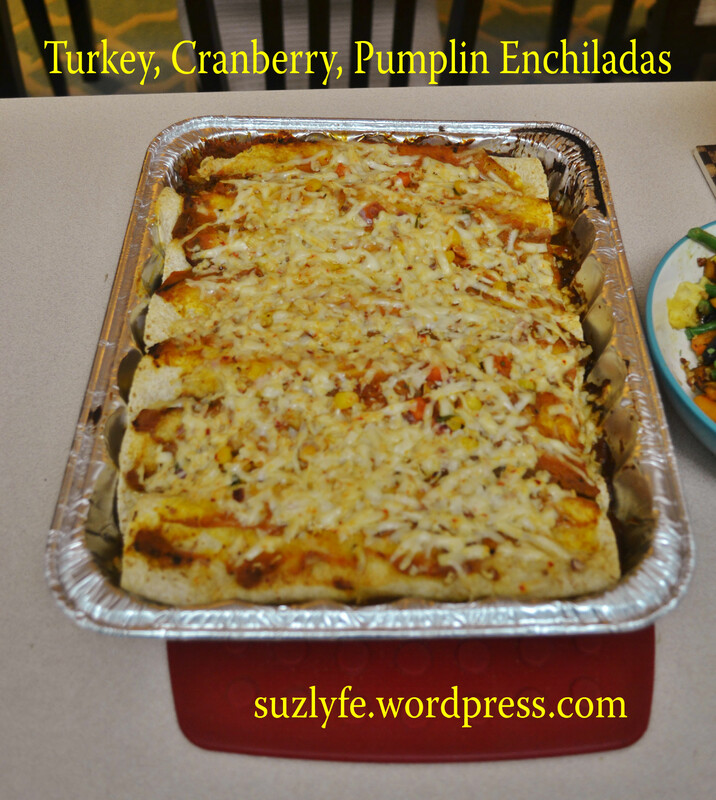 Add carved turkey pieces on top, but leave a boarder of filling on either side. 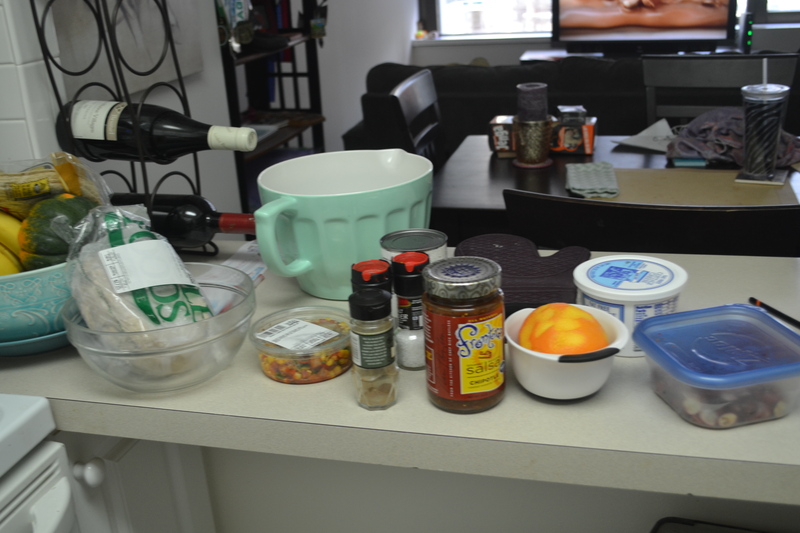 Finish with some of the pumpkin-salsa. It should look like frames inside of frames. If you prep on the stove, do yourself a solid and clean it, too. No one likes the smell of burned… anything. Fold in one side, then the other, and lay flap-down in the lasagna pan. Repeat for the others until the pan is filled. When done with tortillas, spread the remaining pumpkin-salsa mixture over top (make sure to reserve enough for this, I was basically squeegee-ing the jar! 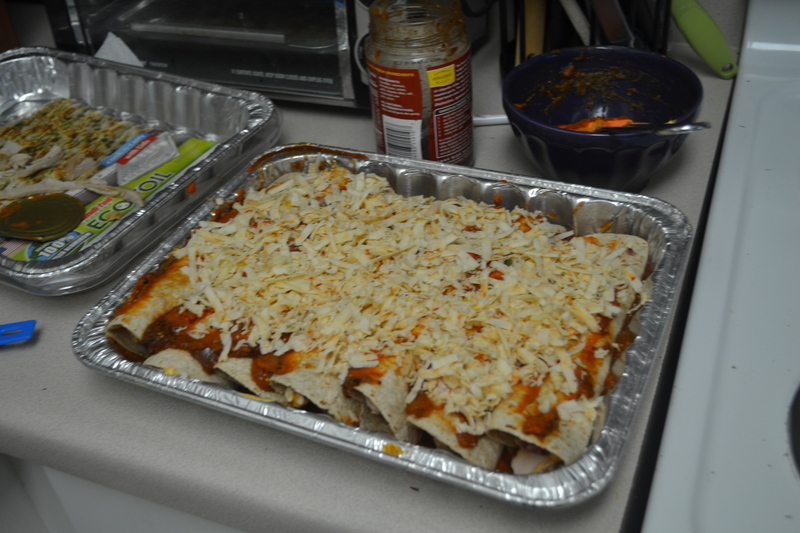 ), and then cover with desired amount of cheese. Cover and refrigerate overnight, or cover with foil and pop in a preheated 350 oven until cooked through and melty (Anywhere from 20-30 minutes, maybe more, depending on filling amount, tortilla type, and if it was refrigerated). Remove foil for last 5 mins and up to 400 to get that cheese mellllted. 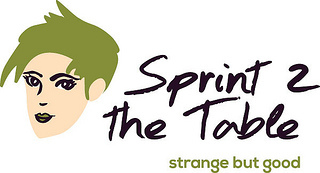 Edited to add: A #strangebutgood recipe for all to enjoy! Peace OUT, Funemployment! Hello, Anytime Fitness Chicago!